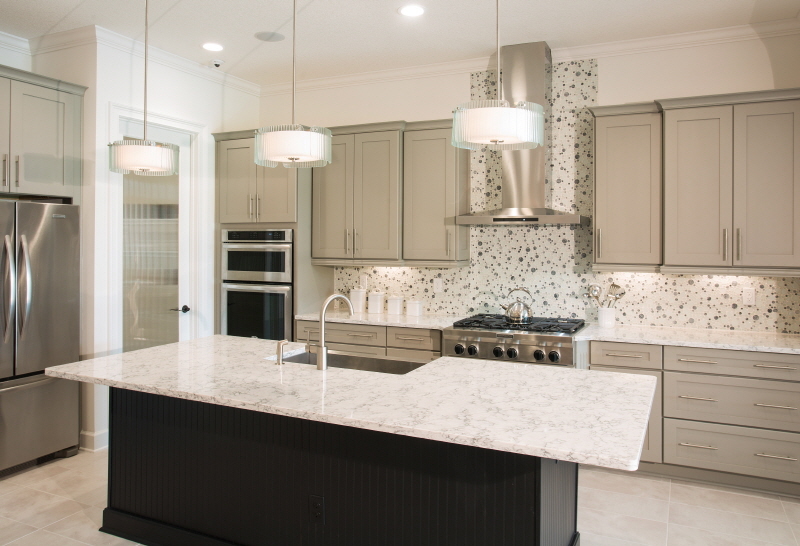 I LOVE the look of Carrara marble countertops and white cabinets, but during our quest for the right countertops, we learned that quartz and granite are more durable and easier to care for than marble, plus they are more affordable! So we determined we were going to choose quartz countertops. 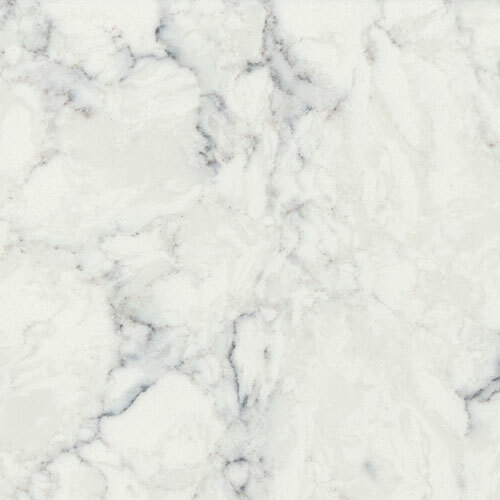 I think Rococo looks the most like Calacatta marble. It has more noticeable veins and the background color is bright white. 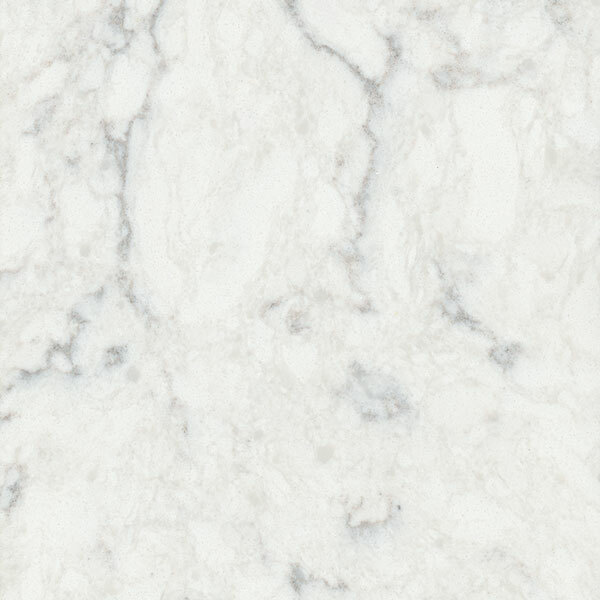 Minuet looks more like Carrara Marble because of the softer veining and grayer background color. It is a really beautiful quartz! 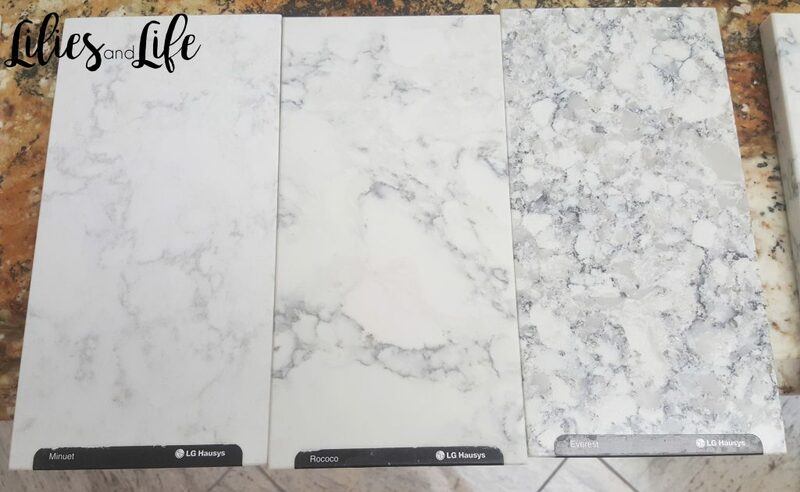 Seeing the online pictures of our three countertop options in an entire kitchen was so helpful. We realized Rococo and Minuet were too white for us and that Everest was perfect! Here are a few pictures of our countertops after they were installed! We LOVE them!!! 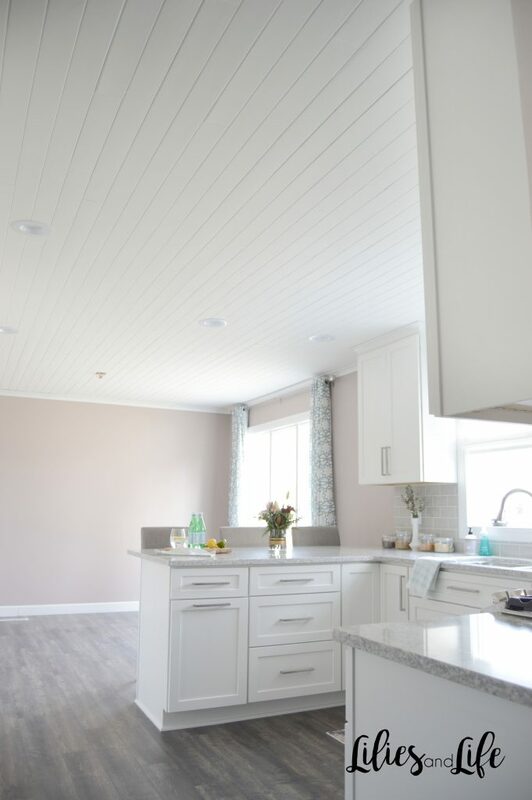 Your kitchen looks STUNNING! My husband and I just decided to go with the white cabinets and Everest, as well, but are still struggling with tile and paint colors. Would you share what colors you used for the tile and wall paint? I love the look! 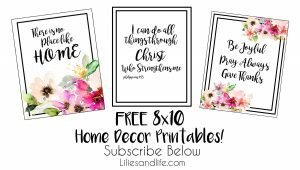 Your kitchen looks beautiful!! We just bought quartz in Everest. I am so excited!! 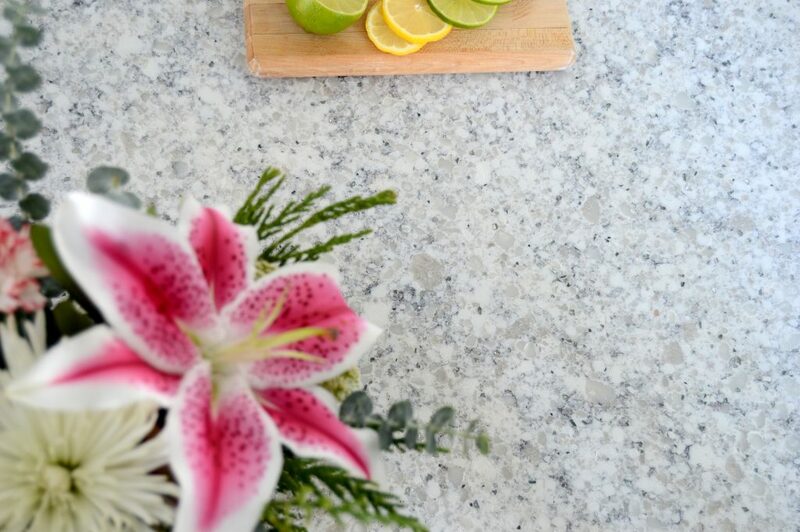 Did you do an eased edge on your countertops? Thank you so much Julie! Yes, we did an eased edge! I just love Everest! How are you liking it? I’m also considering Everest for my kitchen. How hard is it to keep clean? I’m replacing black granite that always shows fingerprints, crumbs, Ext and need something that’s easier maintenance! 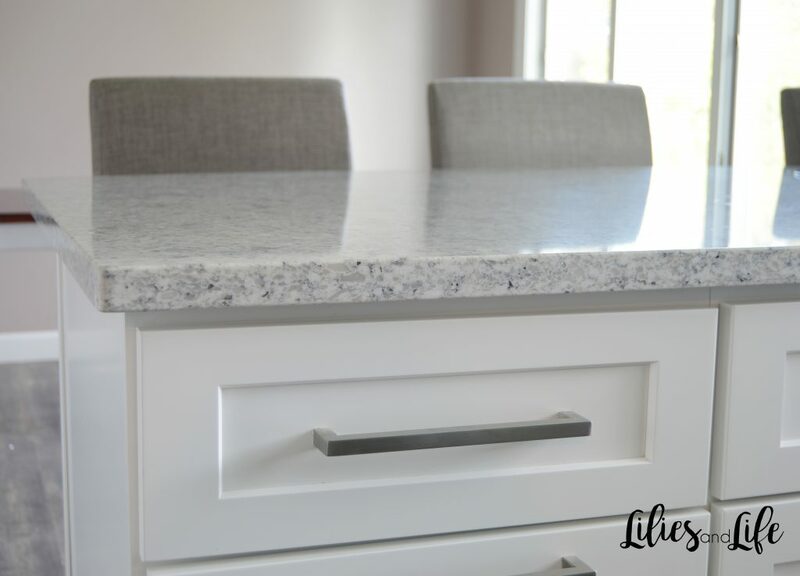 Linda, we have had our our countertops for about 6 months now and I LOVE them so much! They don’t show finger prints at all and with the little specs in the quartz it is sometimes even hard to see crumbs! So I would say it is super low maintenance! Can you tell me what the name is of the flooring? We have picked the same counter and cabinets for our beach condo and are struggling with the floor colors. Thanks! Mike, We went with a ray toned laminate flooring. Here is the link to what we used: https://www.lowes.com/pd/Pergo-MAX-Hidalgo-Oak-6-14-in-W-x-3-93-ft-L-Embossed-Wood-Plank-Laminate-Flooring/1000093453 I really like the contrast of the white cabinets and the darker floor! 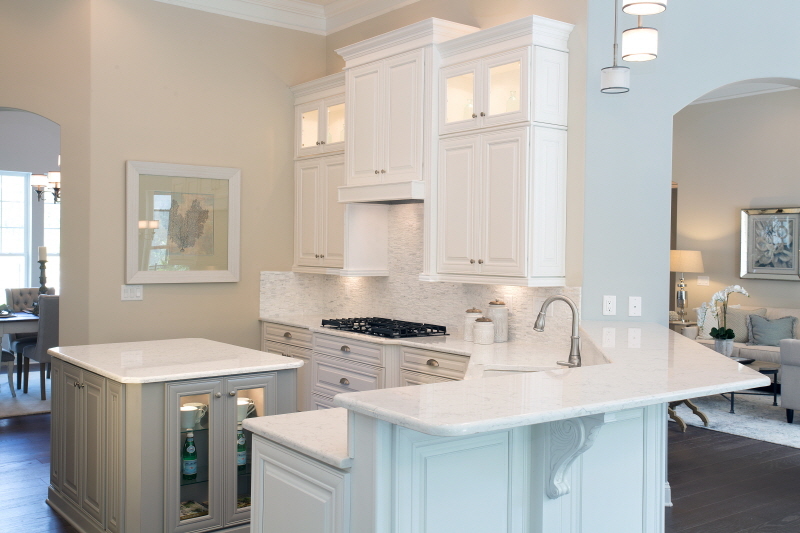 The white quartz by aastone is the most useful and best to pocke friendly. for more information visit. 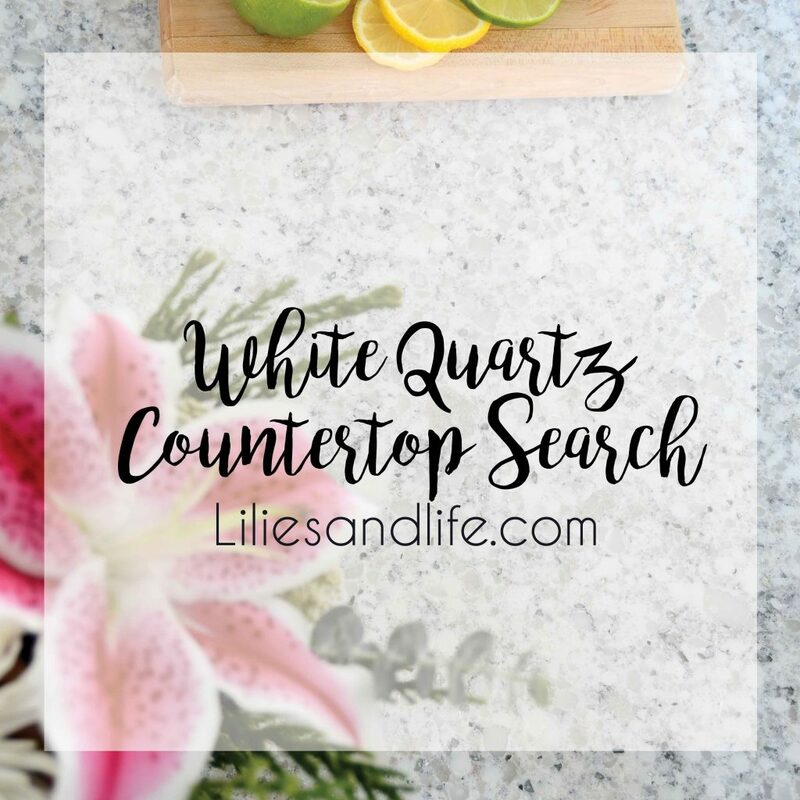 I just started my countertop search this weekend. I love the look of Everest at Home Depot and immediately started looking on the web for completed kitchens. Your kitchen is beautiful! Thanks for sharing all of your pictures. Wow so happy to come across this post. I have been scouring internet for weeks now for countertops. I have white cabinets and dark gray island base. One of my first samples that caught my eye was Everest. At first then I thought it was too “busy” and now have been leaning towards LG Quartet. NOW, that it’s time to commit I’m thinking Quartet might be too plain for us …..ugh this is sooooo stressful! I have a black granite now that I hate and can’t wait to get rid of. 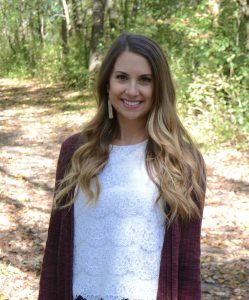 I know either would be beautiful, just having a hard time making a final commitment. Your kitchen looks beautiful. Kerri! I am so glad I could help! I LOVE Everest. I thought it was too busy at first too, but then with the white cabinets, I really love it. 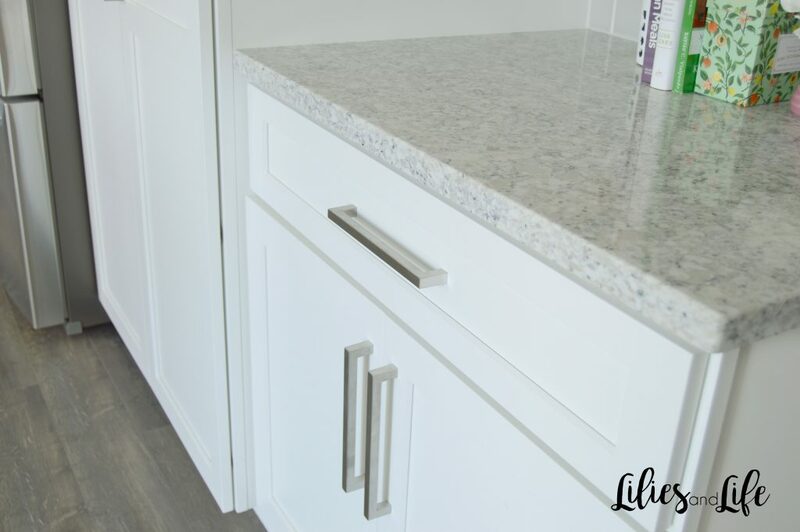 Everest seems more subtle than I thought once it was installed, yet it hides the crumbs if you forget to clean your counter 😉 I really love LC Quartet too though 🙂 Good luck and I am so happy you left me a comment! Could I ask your opinion on something? 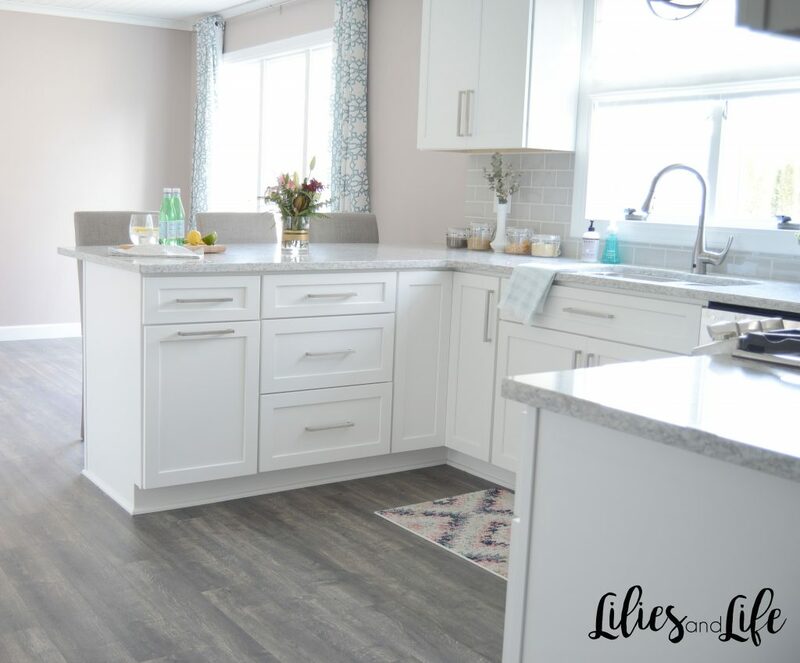 So my kitchen and house is more “casual”…..I’m going with a white farm sink and black hardware, natural oak wood floors….majority of the pics I am seeing the kitchens look more formal with Everest. Do you think Everest could go either way? I just looked at Carolineondesign’s instagram and her kitchen and entire house are just GORGEOUS, but I don’t have that same style thru out my house. 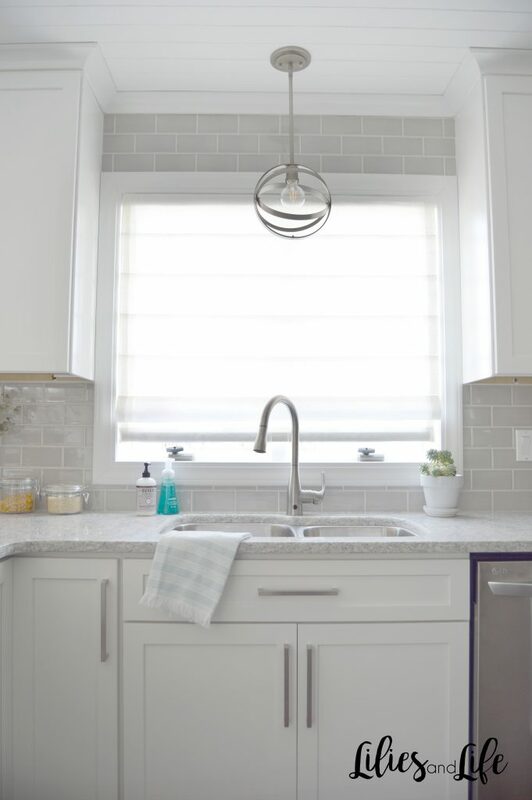 Just wondering if you could envision your Everest with a white farmhouse sink, black hardware, natural oak floors….I do want either a subway tile or that moroccan style in either white or a light gray. Kerri, I think if I were you I would maybe go with the Quartet as you mentioned before. I just looked up Quartet and it still looks like it is true white in color. The dark hardware and natural oak floors might be too much with the Everest. Then you could still either do the subway tile or Moroccan style in white or gray. Plus the Quartet is so beautiful too! I don’t think Everest would look bad either, but Quartet would be my choice because it isn’t as busy. Hi! 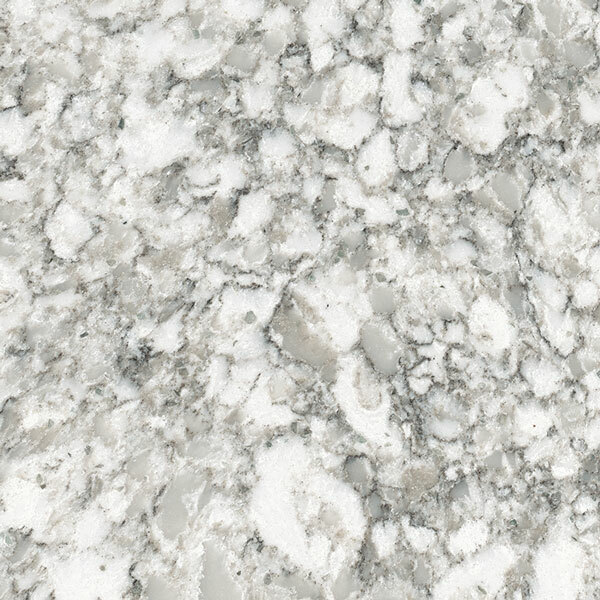 I am also looking at the Everest quartz for a soft white U shaped kitchen and a side hutch area of navy blue. Do you think the Everest would look ok with the blue? I’m still looking for it in person. Thanks! Your kitchen is really lovely. These decisions are SOOOO hard to make! Hi. I am also looking at for the right countertop. 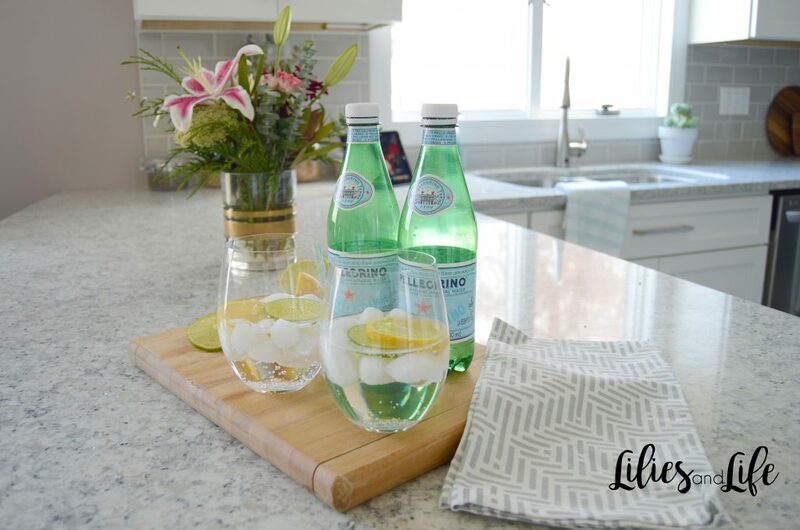 Your kitchen looks beautiful! Thanks for your choices. I also love your hardware. Would you please let me know what brand or where you bought them?